Oxy is a small start-up company out of the United Kingdom that is planning to launch a new smartwatch on Indiegogo this month. By all accounts, it is not competing with any other company in the industry, not even Pebble. 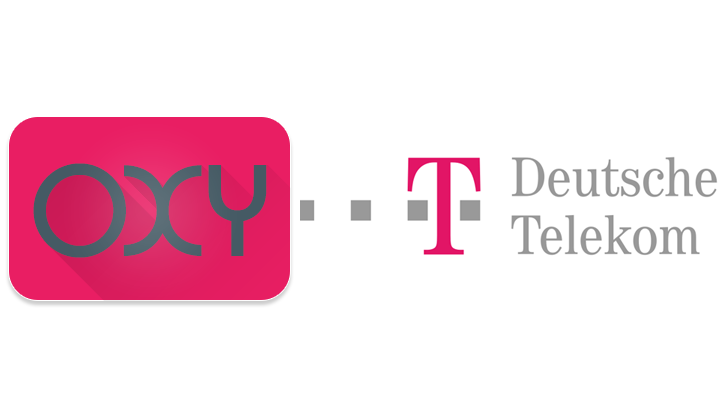 But Oxy got served with a lil' lawsuit threat when it tried to file for a trademark on its logo (shown on the left in the image above) by Deutsche Telekom. Reasons? Magenta. I feel like we've been down this road before. The last time that T-Mobile and Deutsche Telekom were up in arms about their Magentastic Property(TM), the offender was an AT&T subsidiary, Aio Wireless. The color wasn't even in the same ballpark as T-Mobile's, but given that both companies were wireless providers, confusions might have been possible so the judge sided with Tmo. But here? It's a far-fetched jump to assume people will associate Oxy with Deutsche Telekom based on just a color. It's a smartwatch. Yeah the wireless operator could potentially sell LTE-enabled watches, and yeah the logo was a similar grey and magenta, but Deutsche Telecom's intellectual property is on the RAL 4010 color (RGB 188, 64, 119), which itself is nowhere near the Magenta that it's using now (#e21566, RGB 226, 21, 102) and suing everyone over. Oxy's color #e91e63 (RGB 233, 30, 99) is only close to the latter. It's possible that Deutsche Telekom is using this strategy to bully many small start-ups in the technology field into either abandoning their logos or paying for the right to use the color. Given that relatively new companies aren't likely to let themselves get dragged to court, they would decide to solve the matter as quickly as possible and with as little financial damage, which is in Telekom's favor. Oxy is still planning to launch its smartwatch on Indiegogo (oh darn, another magenta logo!) this month, and from the looks of it, it seems like another optimistic crowdfunding project. The screenshots seem to imply that Android Wear is running the show, but the spec sheet says it's some form of Android Lollipop. I doubt it will be as functional or as polished as the product images.